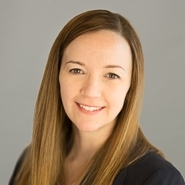 Marshall, Gerstein & Borun LLP is pleased to announce that Tiffany D. Gehrke has been named to the inaugural edition of Managing Intellectual Property’s Rising Stars list. Managing Intellectual Property recognizes Ms. Gehrke as one of the up-and-coming IP practitioners who has contributed to the success of Marshall Gerstein and the clients we serve. See Managing Intellectual Property’s Rising Stars first edition listing. Ms. Gehrke secures and protects intellectual property rights for a broad range of clients. She regularly counsels clients regarding trademark prosecution and enforcement matters, as well as patentability assessments. Ms. Gehrke understands the value of clients’ intellectual property rights and assists those clients in obtaining and protecting those rights in the U.S. and throughout the world.